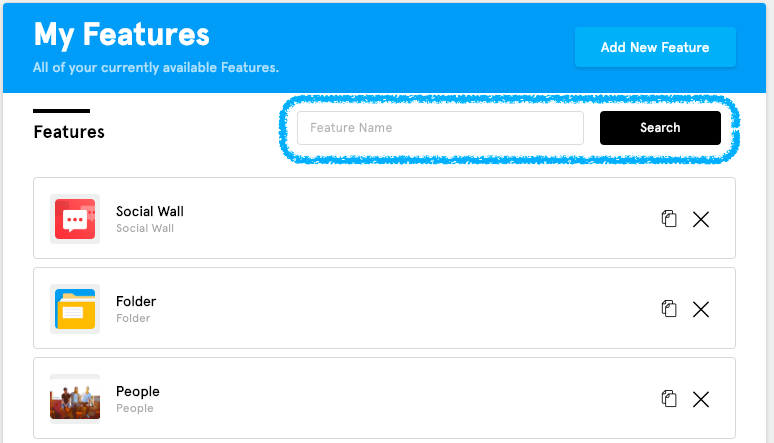 The My Features Tab allows you to manage and navigate through all of the features that you’ve created for your app. In this article we’ll go over how to use it. What is the My Features Tab’s primary function and what are the steps to accomplish it? 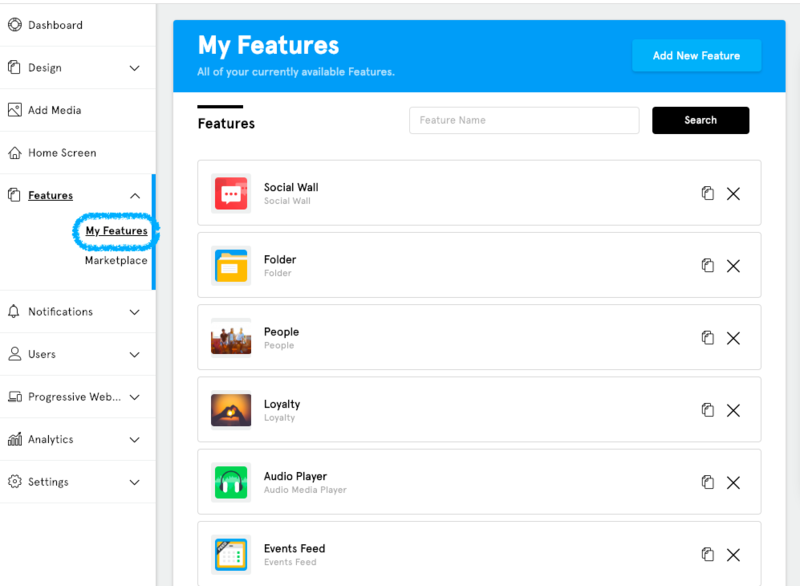 As we stated before, the My Features Tab allows you to manage and navigate through all of the features that you’ve created for your app, as well as clone features and delete them. Next we’ll go over how to do this. 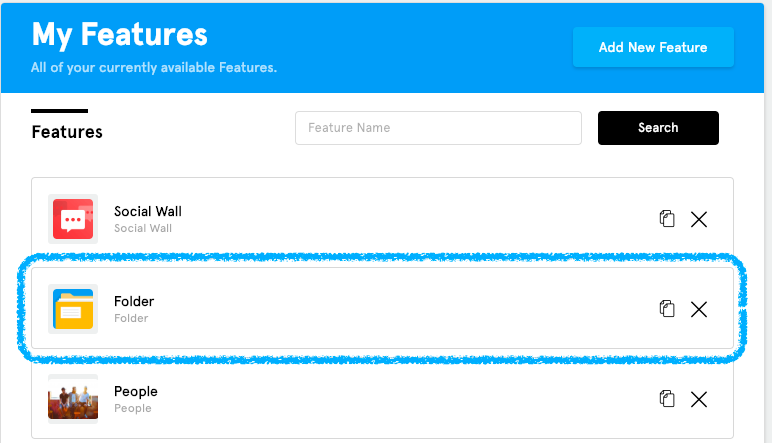 First we’ll go over the basics: How to search for a feature in your list of features, and how to open a feature once you’ve found it. This is more helpful once you begin having multiple pages of features, but once you get to that point, you can type the title that you gave a feature into the “Feature Name” search bar and click “Search” to bring it up in your list of features. 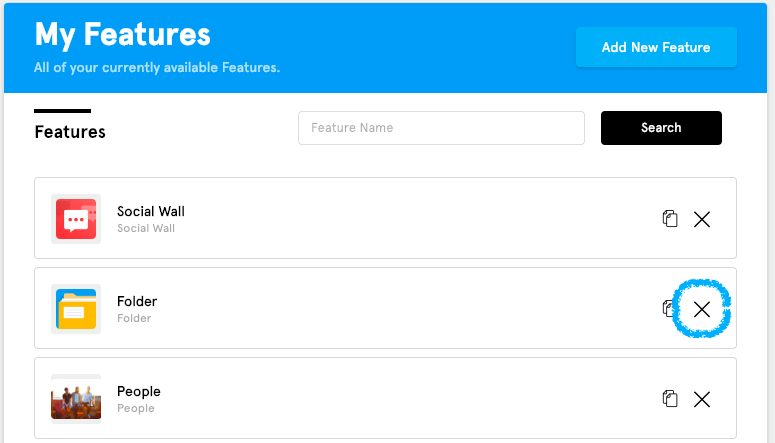 Alternatively we give you the option to browse through your features, so you can navigate through the different pages of features that you’ve created at the bottom of the features list. 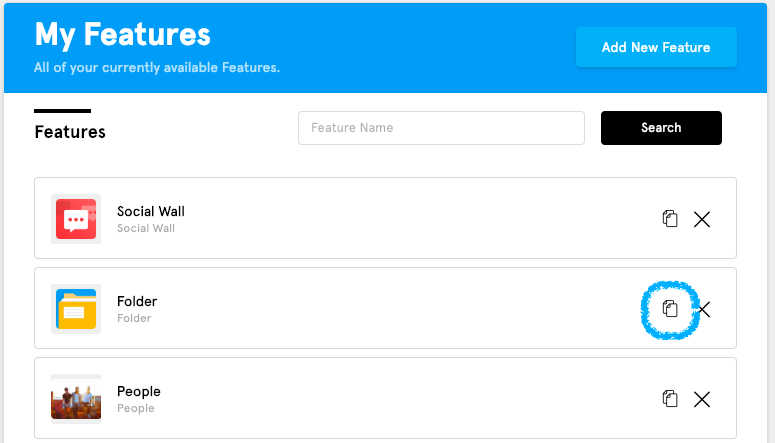 Note: If you would like to create a new feature, you can do so by clicking the “Add New Feature” which will take you to the Feature Marketplace. If you would like to learn more about the Feature Marketplace you can do so here. Once you’ve found the feature that you want to work on how do you access it? 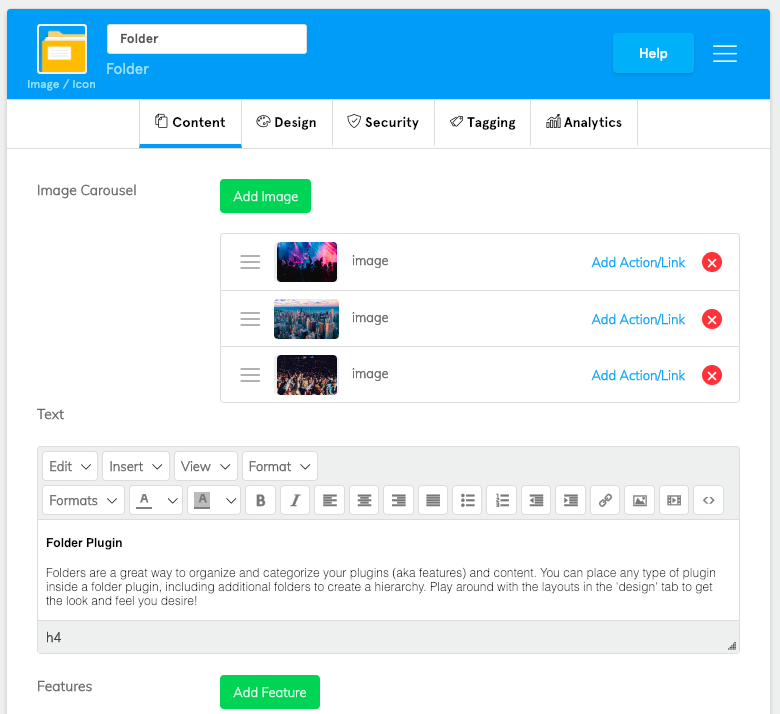 All you have to do is click on the feature’s name or icon and you’ll be brought to it’s Content Editor where you can make changes to the feature’s content. Next we’ll go over how to Clone a feature and how to Delete one. This can help in the app building process when you need to make quick copies, or clones, of features or when you want to clean up your list of features. 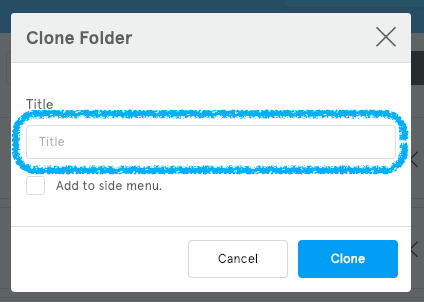 After that’s done you’ll be prompted to give the clone a Title and are given the option to add it to your app’s side menu. You have now made a copy of that feature and can begin editing it. Deleting features can help you clean up your features list and remove unwanted or unneeded features that you no longer use. If you would like to completely delete a feature you can do so by clicking on the big “X” next to the clone icon. Next you will be prompted to verify that you want to delete the feature. Click on “Delete” if you want to completely delete the feature. Note: Only do this if you’re completely certain that you want to delete the feature as once it’s deleted there’s no way of recovering it.